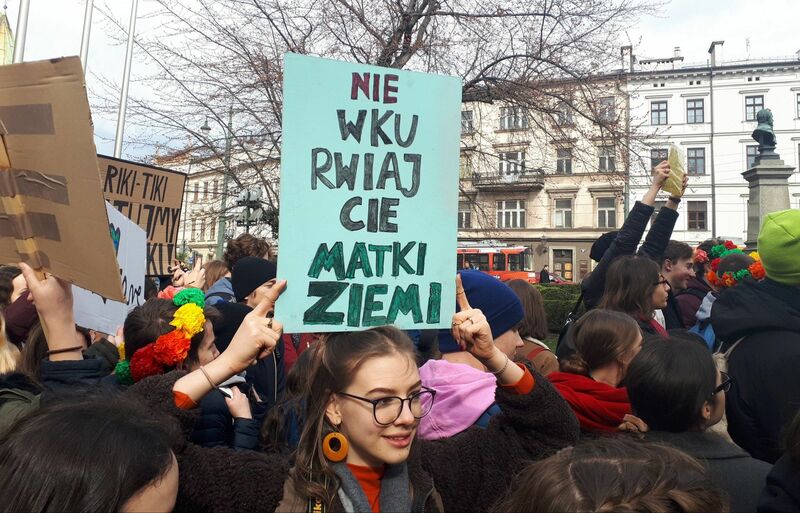 An estimated 350 people marched on Krakow’s Main Square Friday to draw attention to the issue of climate change and demand action to counter it. 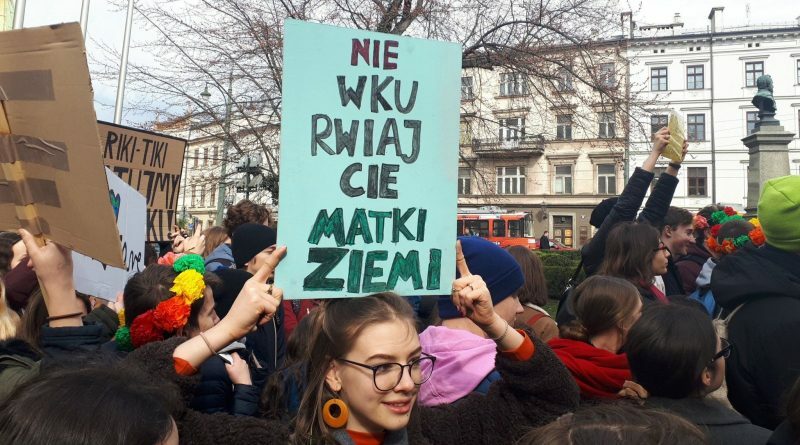 The crowd, many of them students, held up signs such as “CLIMATE IS CHANGING: WHY AREN’T WE?” and ultimately presented a letter to Anna Korfel-Jasińska, Krakow’s vice president (deputy mayor) for education, sport, and tourism. Their demands included better education about climate change and less plastic and paper waste in schools. The demonstration was part of a coordinated worldwide School Strike for Climate which included more than a million participants in over 120 countries. Dating back to 2015, the movement was galvanized in August 2018 by Greta Thunberg, a Swedish activist who stood outside her parliament building with a sign that said “Skolstrejk för klimatet” (“School Strike for Climate”) when she was then 15. Global demonstrations followed last December to coincide with COP24, a UN climate conference held in Katowice, Poland. There is broad consensus in the scientific community that the average temperature of the Earth is rising in part due to human activities (especially the release of greenhouse gasses like carbon dioxide and methane), and that failure to make immediate, major reforms could lead to catastrophic climate effects. Iza Józefowicz contributed to this article.